We finish implementing our “clear screen” events and move on to updating the server. When the server receives a clear screen event, it needs to convert that event to a server event and send it back out to all the other browsers. 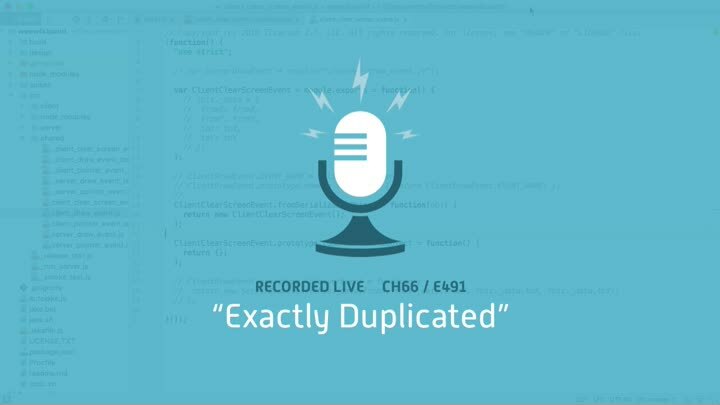 This is very similar to code we already have, so our challenge will be to remove the duplication. First, we just get it to work.